Book a hotel for the day in Westborough and get some great deals and offers for day rooms. At Westborough you should definitely go to the Hopkinton National Park for Canoeing and Kayaking in the summer. It is a great place to go bike riding etc. For shopping Natick is the mall to go to. As far as restaurants, there is a WHOP, westborough house of pizza which is very friendly and has a vast menu selection. Their pizza is the best in the area. For a little more refined Asian flavor try Sapporo, for really good sushi and Japanese food. If you like Indian spices has really good indian fast food and groceries. Westborough is also just about 30 miles from the Boston Area. 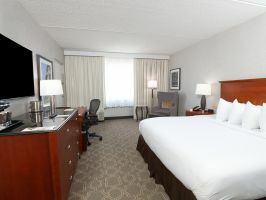 At Hotels by Day we work towards meeting your needs by offering same day check in and checkout options at day hotels for your perfect hourly hotel in Westborough to book a day room.